I really enjoy these "Child's Day" books for discussing with my 6yo the similarities and differences between her life in the United States and the lives of the children depicted in the stories. Because these books use photographs to show the daily life of a particular child, there's a lot to discuss beyond the words. 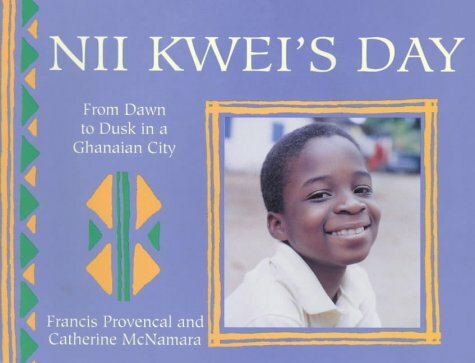 I have also paired this book with Bongani's Day: From Dawn to Dusk in a South African City along with Africa Is Not a Country to teach about the diversity of lives and cultures within the continent of Africa. This book takes place in Ghana. K.Y.